The first Anchor Stone building block sets were brought to world fame in 1880 by the toy manufacturer Richter of Rudolfstadt, Thuringia. Thuringia is in the Eastern part of Germany and was under communist rule after World War II. The communist forbid the production of Anchor Stone building blocks claiming it did not comply with communist ideals. 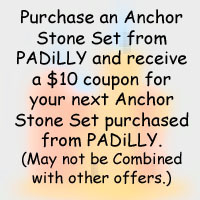 It wasn't until 1995 that Anchor Stone building block sets were again manufactured, adhering to the original, authentic process, which has proven to be of very high quality for over a hundred years. Some of the original sets have already found their way into museums. 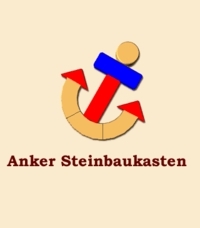 Anker Stein is the German name for these stone building blocks literally translating to Anchor Stone.